This doc provides instructions on how to setup the Profile Completeness extension. Profile completeness is done on a user role basis, so you will not find a tab for this extension in UM settings. After activating the extension, go to Ultimate Member > User Roles. 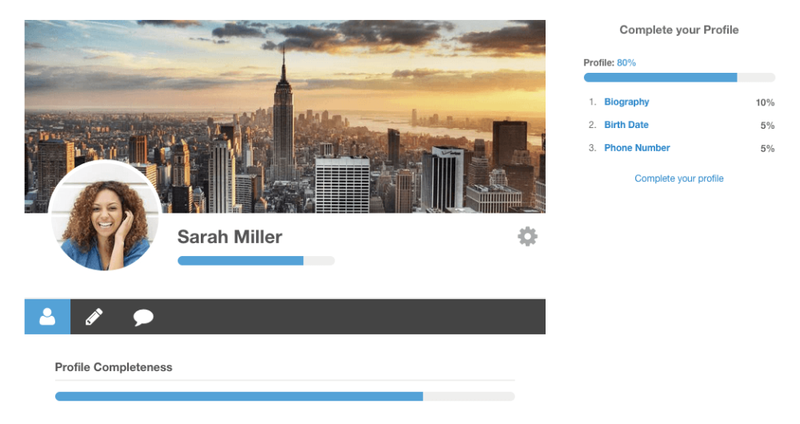 Edit a role and enable Profile Completeness. 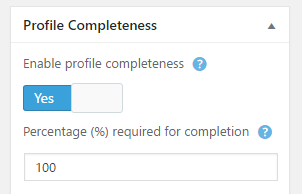 After enabling, you should now add fields which you want to use with profile completeness. 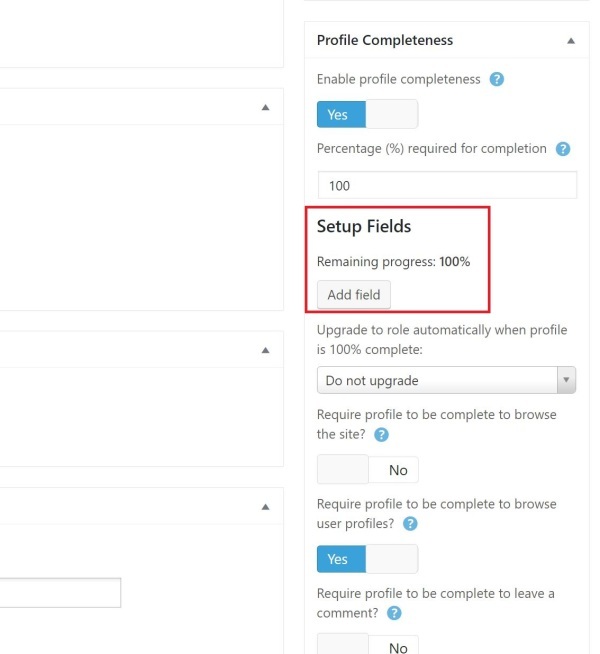 You can display Profile completeness bar within the profile either by adding the field to the profile form or selecting the profile completeness bar in the user meta section of profile. You can also add the widgets to the sidebar or footer of your website via widgets or shortcodes. 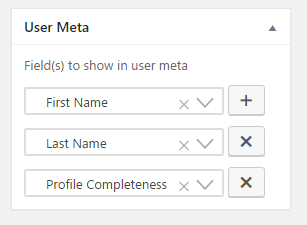 To add the profile completeness bar below the user's name, go to Ultimate Member > Forms > Edit a Form > User Meta. Click on the + sign and select Profile Completeness. Click on Update to save changes. The profile completeness extension provides two widgets: Profile Completeness and Profile Progress Bar. To add the widgets, navigate to WP-Admin > Appearance > Widgets and drag and drop them to either the sidebar or footer of your site. You can use either of the following shortcodes to show the profile completeness bar anywhere on your site. Note: The profile completeness elements will only be visible to a user if they have not completed their profile. Once a user completes their profile the profile completeness elements will not be visible to that user.